When you’re working with IT staffing companies to find new IT jobs, you might be intimidated by your interviewers and future employers. It’s worth knowing, though, that often they aren’t comparing you against the detailed checklist you might expect. While interviewers can always give your technical recruiters a good basic idea of who they need to hire, sometimes things are more up in the air than you’d think. Why is this relevant to you? Because it can help you approach your job search with a more optimistic, energetic perspective. When your IT recruiters set you up for an interview, they are doing so because you have the basic requirements, experience, and technical proficiencies for the role. Sometimes, a hiring manager has a more open mind and doesn’t know for sure what their ideal candidate will be like. 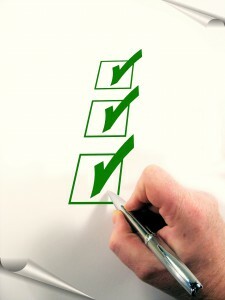 This means that you don’t have to live up to as many items on a hiring check list. If you (and your IT staffing agencies) put energy into selling yourself well, you have a good chance of showing an open-minded hiring manager that you are the candidate they’re looking for. How do you use this to help you? Make sure to ask your IT recruiting companies for a detailed job description. Then ask them if they know anything else about the role or the company’s needs. When you’re in the interview, go beyond just pointing out that you’re qualified for the role. Take a little time to make sure the interviewer also hears about how you helped implement some unique projects or you’re certified in a rarer technology. Try to tie these back to the role or any other needs the company might have. When you make sure your interviewer knows about these special, unexpected points, you may just help them see you as the candidate they didn’t even know they wanted. Try to remember that while hiring managers have given IT staffing firms a basic idea of what they want, you never know how set they are on who they want to hire. Especially in IT, with the constant flux of technology and its influence on companies, it’s possible the door is open much wider than you think. IT hiring managers may not know exactly what they need in a candidate. This entry was posted on Wednesday, February 10th, 2016 at 7:51 am and is filed under IT Job Interviews . You can follow any responses to this entry through the RSS 2.0 feed. Responses are currently closed, but you can trackback from your own site.